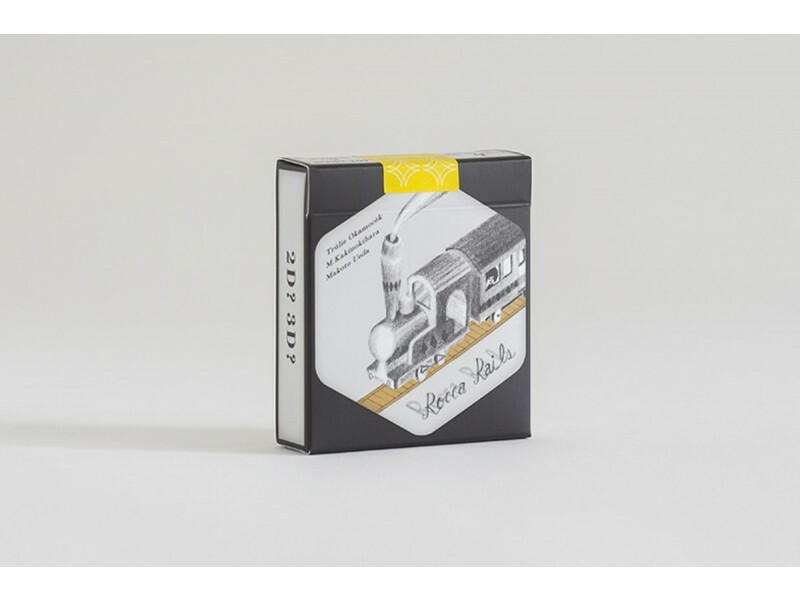 Even if you are not a railway and train enthusiast, you can enjoy this railway-inspired card game with friends and family! Rocca Rails is a hexagon-shaped card game designed to look like a cube. You would need to connect the same coloured railways. If you draw a train card, you can play one more time. 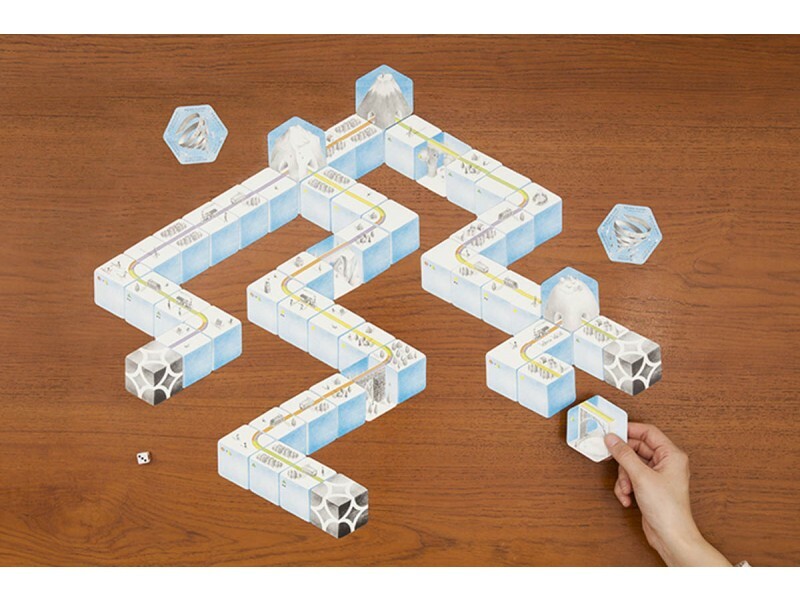 Tunnel cards and storm cards can be drawn anytime. Only the dice knows what will happen when a storm card is drawn. Collaborated with Sapporo MY RAIL PROJECT, and illustrated by Makoto Ueda. 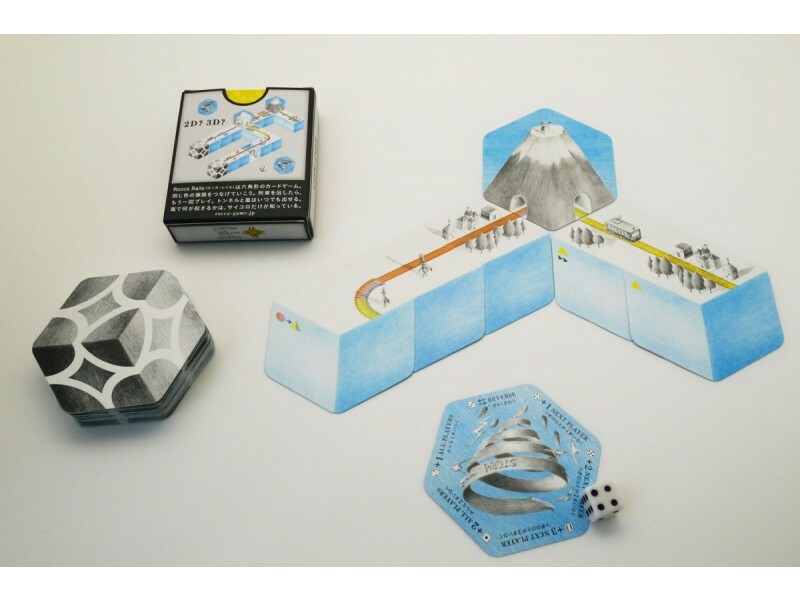 60 hexagonal cards and 1 dice (comes with English instructions).